211 Bernard: Susannah Dainow's FALLOW launches tonight! Susannah Dainow's FALLOW launches tonight! Susannah Dainow’s writing unsettles the familiar and draws grace from difficulty. Working in narrative and the abstract, her poems capture themes of family, space-time, and memory with a candidly fractured lens. Through unexpected juxtapositions, off-beat motifs, and a penchant for slant rhyme, her writing carves emotionally and artistically satisfying landscapes, in which the reader is invited to witness both the definitive and the forgotten. 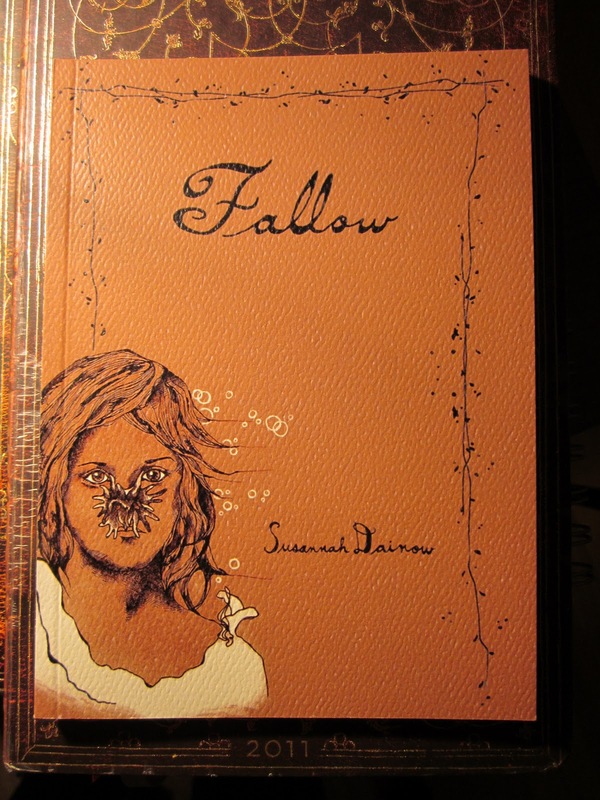 “Fallow,” is Dainow’s debut poetry collection; an earlier version was shortlisted in the 2011 Qaartsiluni Chapbook Contest. This event will be held at the Librairie D+Q (211 Bernard Ouest) tonight, Thursday January 26th at 7pm.